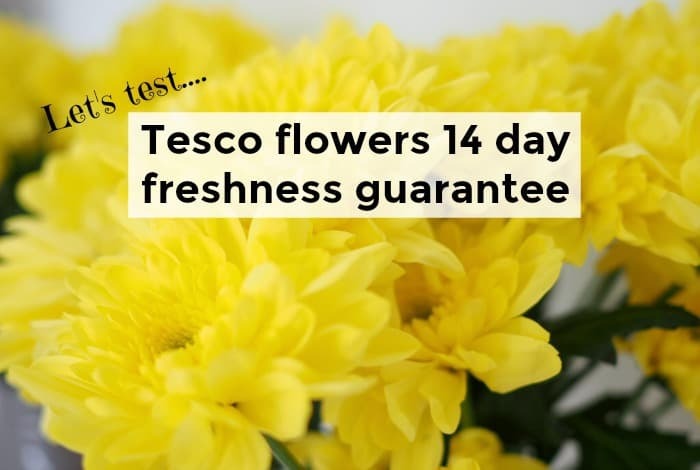 Let’s Test: Tesco flowers 14 day freshness guarantee…. 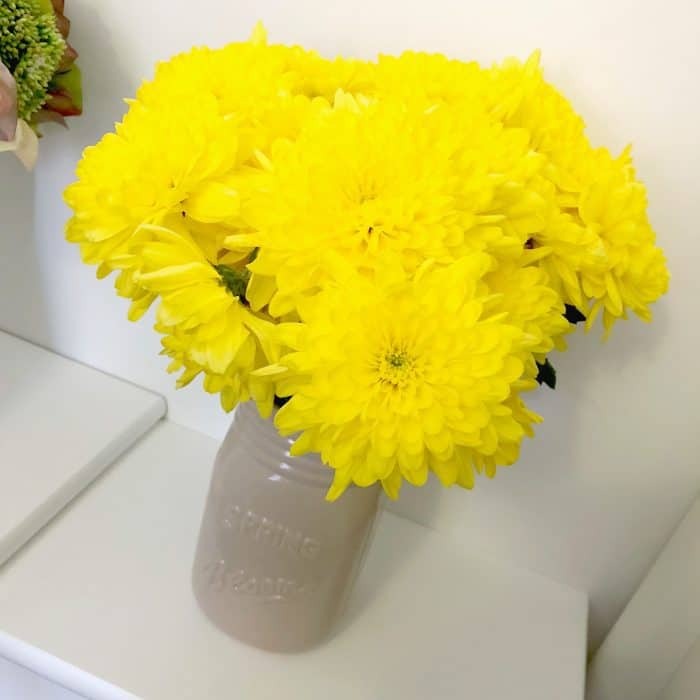 Usually, when you buy supermarket flowers they come with a 5 or 7 day freshness guarantee which means exactly what it sounds like it does – that your flowers will stay looking fresh for at least that period of time. That freshness guarantee is something I look for when I buy any fresh flowers because, in my experience, even reduced price flowers last for at least as long as the length of time the label says the guarantee is for. 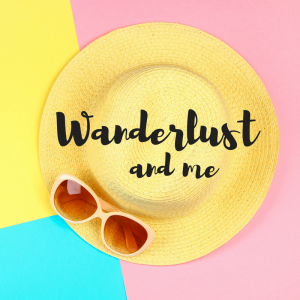 I’ve only ever had a couple of experiences where the guarantee hasn’t worked – one it kind of did work as the flowers didn’t exactly die within the guarantee period but it was a lovely bunch of tulips that just never bloomed. 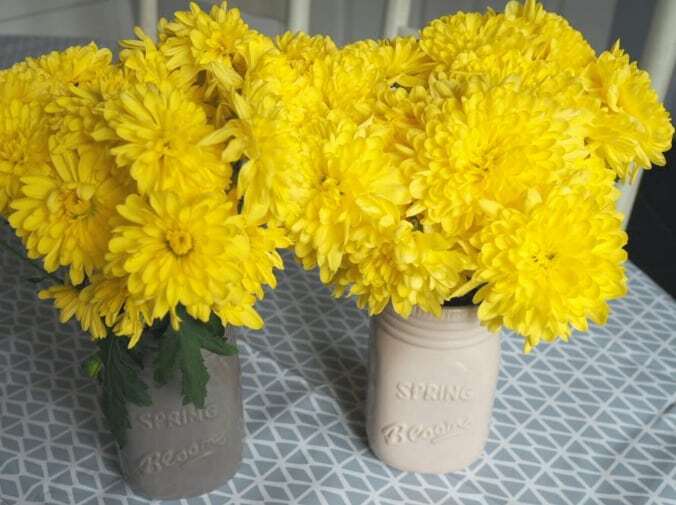 The second time was with a bunch of flowers I bought from Morrisons that were looking very tired when I bought them for the huge amount of 15p and I somehow thought I could bring them back to life – I failed and gave up after two days! To be fair though, two bad experiences when I buy reduced fresh flowers on a weekly basis isn’t bad is it? I know now for example that if I head to the Tesco near me around 5 pm, I’ll usually find reduced flowers in abundance. If I pop along around 8pm then they’ll often be even cheaper but there’ll be less choice and if I go much later then I might as well not bother. 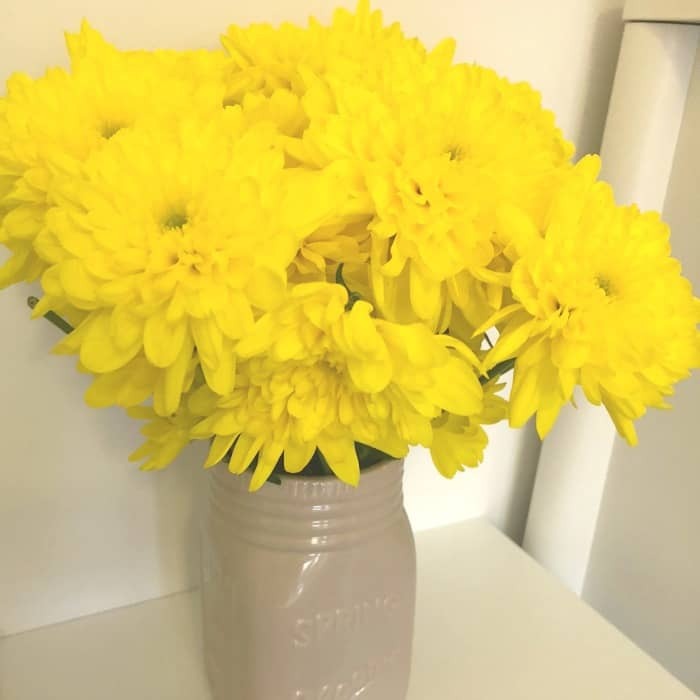 From what I can tell, the length of the freshness guarantee depends on the flowers and the arrangement that you choose but I try to go for at least the 7 day guarantee when I’m buying flowers because, although I no longer think fresh flowers are a waste of money as I used to, I do like to see my money going as far as possible. 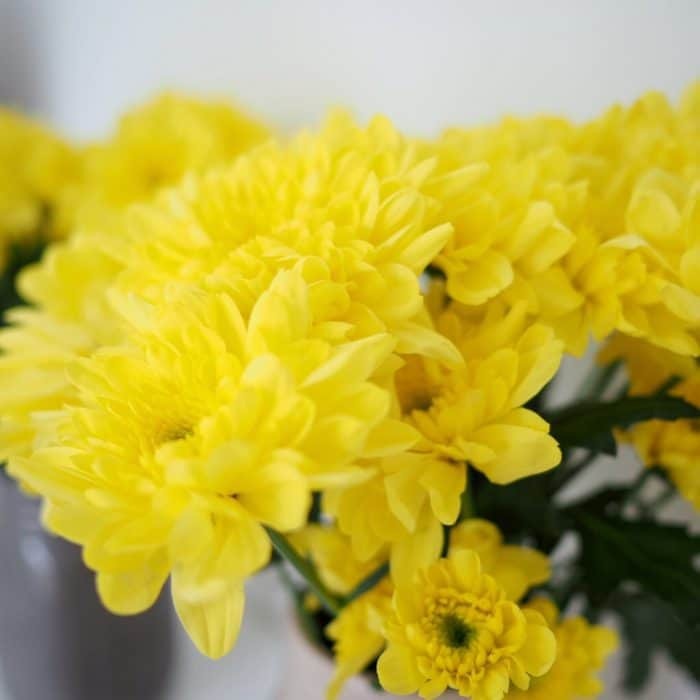 I rarely see a freshness guarantee over 7 days but a couple of weeks ago, I found a lovely bunch of bright yellow Chrysanthemums that had a 14 day freshness guarantee. They were reduced from £3 to £2.70 which isn’t a huge reduction but the colour was so uplifting and that plus the 14 day freshness guarantee sold them to me. I thought I’d take a few photos of the bunch over a 14 day period so we could see together whether or not they really do last for 14 days. 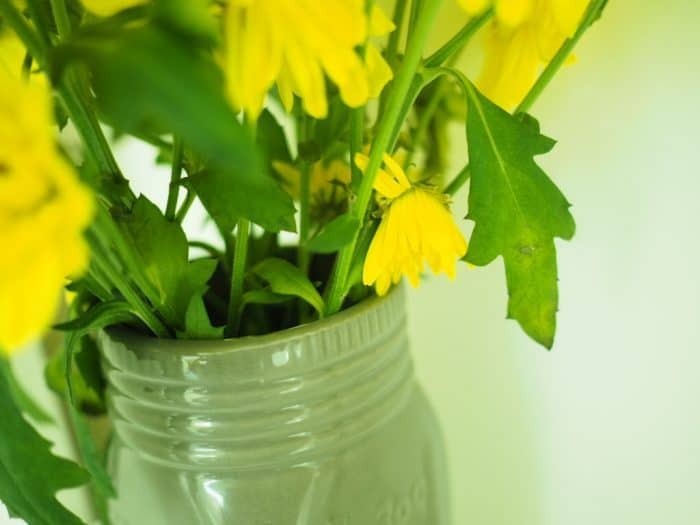 I got the flowers home and split them into two smaller vases (I love a bit of symmetry) and took this photo…. I know this isn’t a great photo but it was only when I took the photo on day 4 that I decided that this might make an interesting(ish) post. I can (and plan to) just pick out the two affected stems and get rid of them. So, my flowers are going to exceed two weeks of looking awesome which for a cheap bunch of supermarket flowers is pretty awesome if you ask me! 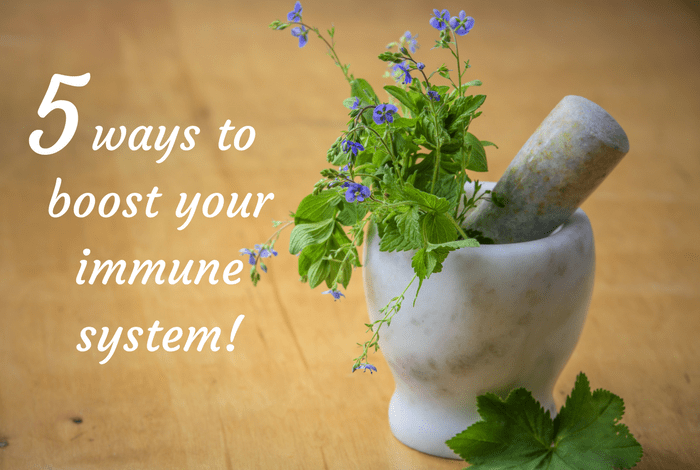 5 ways to boost your immune system!